3-1/4" wide. 11" - 88", tongue and groove, end matched, S4S. 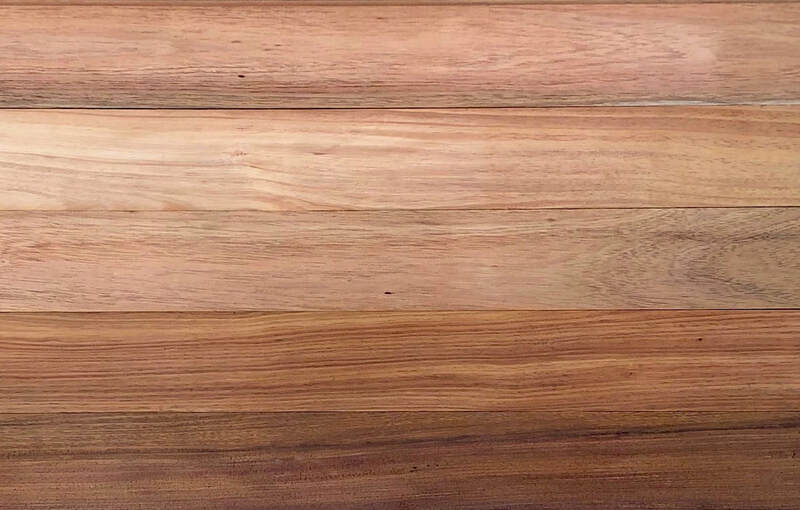 Minimum order: 400 sq ft.
Australian "Koa" flooring (Acacia Melanoxylon), a.k.a. Australian Blackwood or Tasmanian Blackwood, grows in a few areas of South Eastern Australia but is mainly sourced from Tasmania. This high-end flooring is golden brown, quite often showing darker brown bands. Occasional reddish streaks are also characteristic. The sapwood is paler. The elegant grain in this flooring is even and usually straight, with occasional fiddleback areas. Australian "Koa" wood is in relatively limited supply because the occurrence of Aussie "Koa" trees is comparatively sparse throughout its growing regions. Nonetheless, due to its color, grain, and select availability, Australian "Koa" flooring is an excellent alternative to its Pacific cousin, Hawaiian Koa (also an upright Acacia species), which can no longer be sourced in flooring quantities.